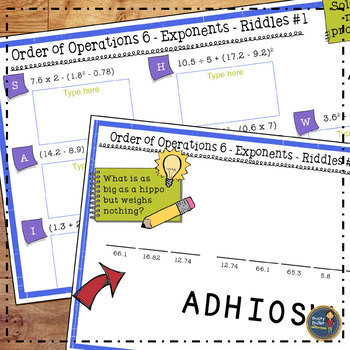 Students can practice order of operations problems with decimals with this math packet. Parenthesis and exponents are included in the problems. 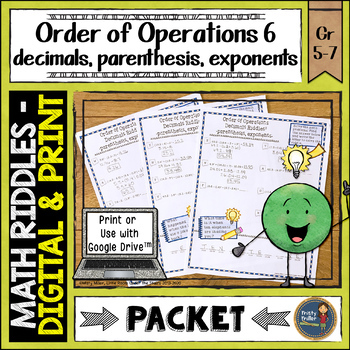 They solve the order of operations problems and use the code to solve the riddle. 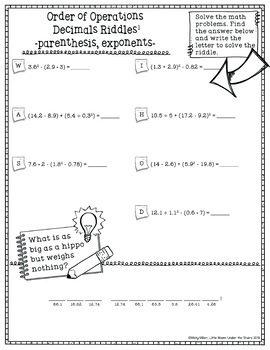 Problems are written horizontal and include decimals, parenthesis, and exponents. Includes three riddle sheets and answer keys. 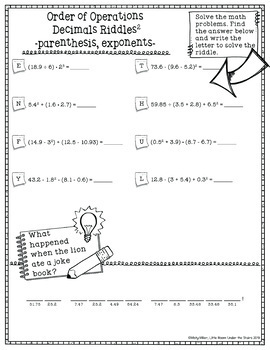 These are great for early finishers, center work, or homework! ☑ Check the preview to see what's included.